A Bluetooth Gateway is effectively the “reader” in any BLE beacon setup. It is a small receiver that allows the transmitted data from your BLE Beacons to be sent to or from ClearStream. While not a direct replacement for an RFID setup, there are a number of sizable advantages that Bluetooth Gateways present over a standard RFID setup. Below are the three main advantages that a BLE Beacon and Gateway setup can have over your average RFID Reader setup. A Bluetooth Beacon and Gateway setup will be on average significantly less expensive than a standard RFID reader setup. Gateways are significantly more simple, which translates to a lower cost. So acquiring even several Bluetooth Gateways can be cheaper than a single RFID reader. A Bluetooth Beacon and Gateway setup is considerably easier to install and configure than an average RFID reader. Due to the nature of how the Bluetooth Gateway is configured, it can simply be placed in a central location after configuration. 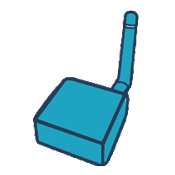 There is no need to worry about antennas, or interference. Also depending on the size of the area you are operating in, you may have needed to set up several RFID readers and antennas instead of only one or two Gateways. 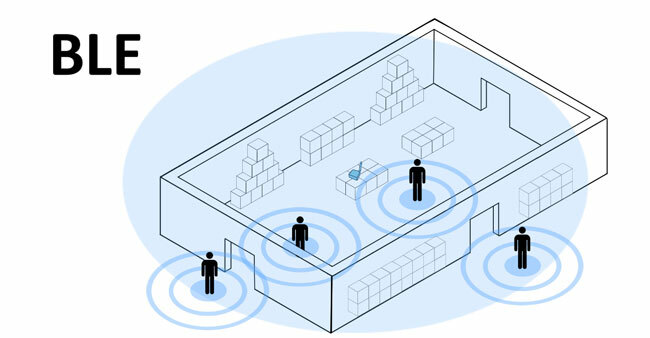 Bluetooth Gateways can cover a significantly larger amount of space than a normal RFID reader. This is largely due to the fact that Gateways can be placed in a more central location and receive transmissions from the surrounding area easily, but RFID readers are better suited for chokepoints or specific hotspots. Gateways can also function in environments that readers never could, such as wide open warehouses. While Bluetooth Gateways may not be a direct replacement for RFID readers, they are less expensive, can be configured quickly and easily, and support as many if not more environments than RFID readers. 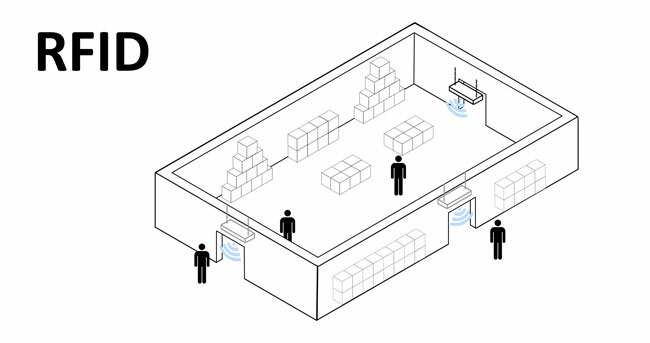 In the diagram below, you can see the difference in coverage between a number of RFID readers and just a single Bluetooth Gateway. Note how many readers are needed in the setup to track employee locations, and the Gateway can even track the Beacons while inside the room.